How do investors react to the growing trend of socially responsible investment? How do you ensure the CSR initiatives in your company are truly impactful and relevant to the market needs? 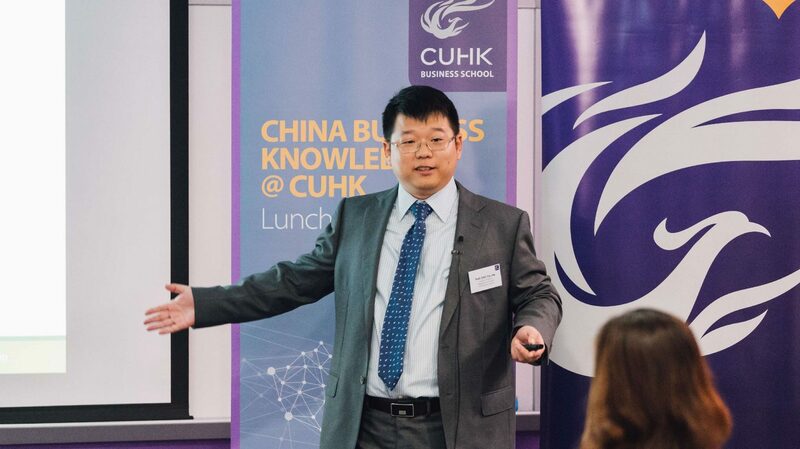 Socially responsible investment (SRI) has been on the rise in the investing world – this was the message shared by Prof. Cao Jie at the Department of Finance, CUHK Business School in our sixth China Business Knowledge @ CUHK Luncheon Series: How CSR Changes Our Behavior and Society on May 15, 2018. “SRI is an investment discipline that considers not only the financial returns but also the social impact of the firm. It has been growing rapidly recently. 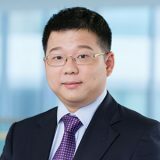 In the U.S., every one out of five dollars goes to SRI and in total there are 8.1 trillion assets involved,” said Prof. Cao based on his recent research paper “Investor Preference, Corporate Social Performance, and Stock Prices”. This growing trend, according to him, will have an effect on their investment decisions. “When investors find undervalued stocks, they are more willing to buy those with good social performance, rather than those with bad social performance,” he said. “Similarly, when investors identify overvalued stocks, they are more willing to sell ‘bad stocks’ or those with bad social performance, leaving a negative abnormal return for the ‘good stocks’ in future,” he added. 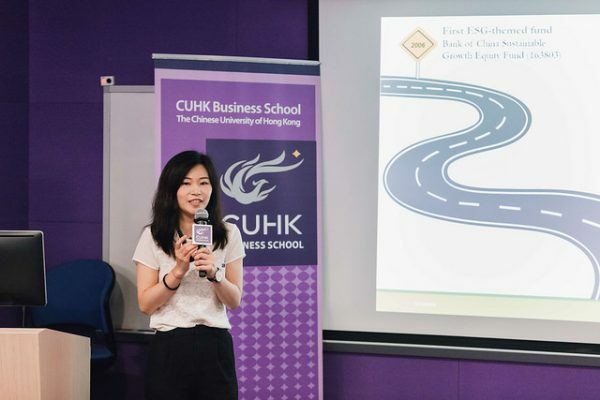 As for China, SRI is still in its developing stage but “due to the rising awareness of social responsibility and the supportive policies, it has become more popular and crucial,” explained Elaine Zhang, a PhD student of Prof. Cao, who was also speaking at the forum. Prof. Cao said that in view of the growing trend, the government needs to educate investors properly to ensure they can differentiate between financial performance and social responsibility performance, and choose the investment products wisely based on personal preferences and investment horizons. “It is still unclear how SRI will affect the financial market in future, however, we’re certain that its importance will continue to grow,” he said. Diana Tsui, Head of Global Philanthropy of Asia Pacific at J.P. Morgan, believes it’s important to approach social responsibility issues with a global perspective. To make sure their good effort and work actually offers solutions to market needs, the JPMC Foundation also funded Tsinghua University and Fudan University the New Skills at Work research to understand the skills gaps in China’s labor market. To help the company achieve successful and sustainable CSR initiatives, it’s crucial to build a good team with the right talents. That’s why Diana hired a diverse team with members who do what they do best. 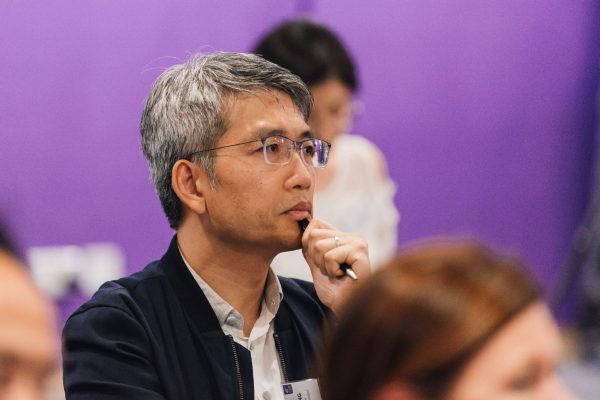 “I have colleagues with thought leadership and research background, others who know how to manage programs on the ground in developing countries, and those who know how to turn our initiatives into measurable KPIs that can be monitored. Having the right talent is critical in building relationships with our partner organizations and managing risks,” she said. 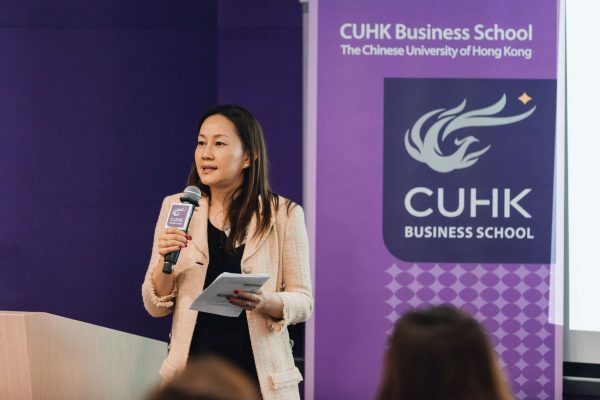 The luncheon talk attracted a group of enthusiastic participants from the business community, NGOs and CUHK alumni, who contributed to a highly interactive Q&A forum. You can see our event photos by clicking here. 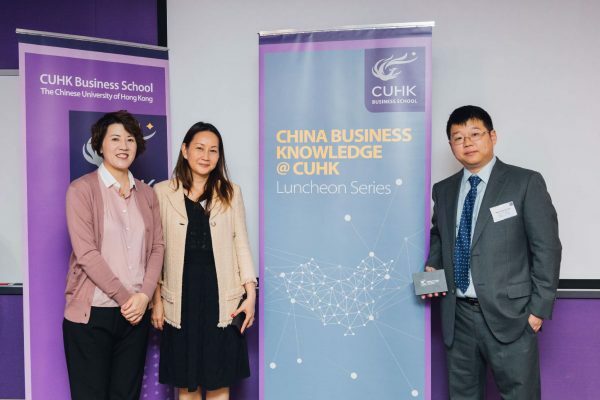 China Business Knowledge @ CUHK Luncheon Series will take a break over the next few months. Don’t miss our talks when we come back in September with more hot topics, groundbreaking research and great speakers.